This past Saturday Leftover Salmon bought the third installment of their annual Blue Ridge Jam to the Pisgah Brewing Company in the idyllic town of Black Mountain, North Carolina. 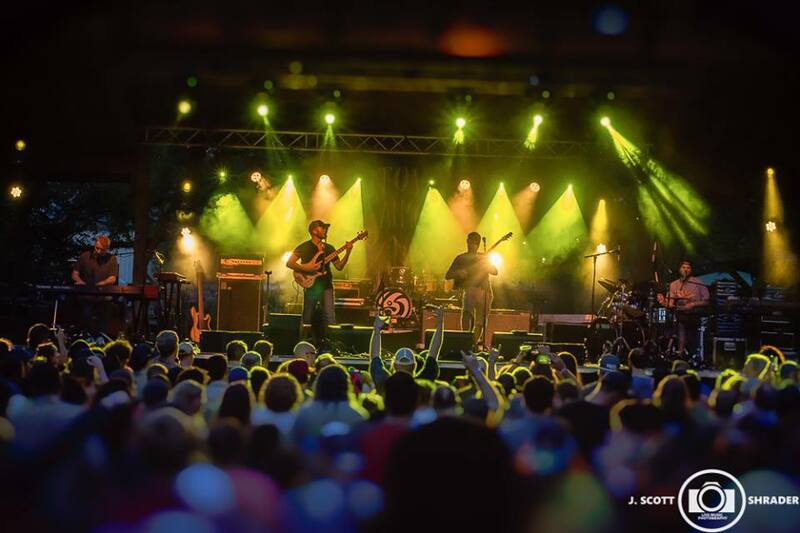 Sitting in the shadows of the Appalachian Mountains, Pisgah Brewing Company proved once again why it is the perfect spot for this type of all day musical events. By utilizing both the Taproom Stage and the Outdoor Stage the music was able to flow seamlessly from late afternoon into the wee hours of the night. The day started out with Black Mountain natives Bayou Diesel bringing their unique Cajun stylings to the Taproom Stage as the attendees filed in for a long day of music. Those of us lucky enough to arrive in time to catch their set were rawarded with a special guest appearance by a tie-dye clad, rub-board toting Vince Herman. Bayou Diesel's Steve Burnside used to play with Vince back in the late 80's and judging by the smiles on their faces you could tell they were having a blast sharing a stage together again. 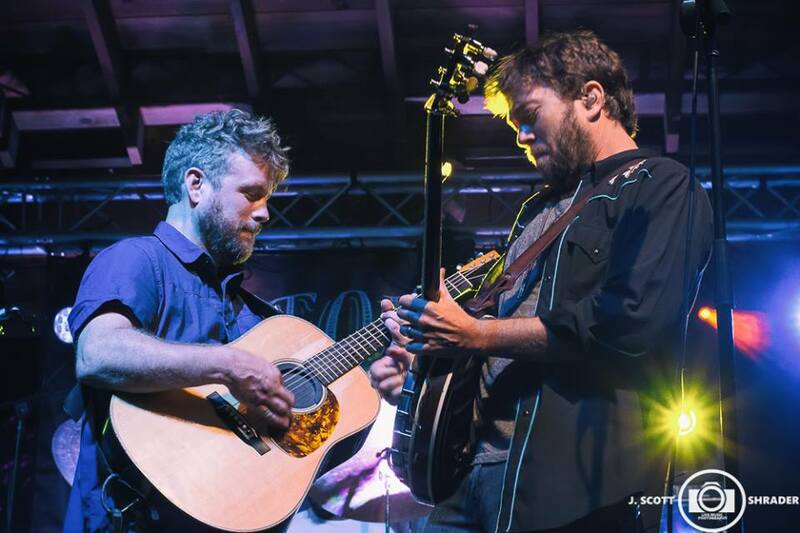 Once Bayou Diesel finished it was time to head outside for Asheville's own Jon Stickley Trio. Many reviewers have undoubtedly tried and failed to categorize Jon Stickley Trio's music so I will not attempt to do so here. While pigeonholing them into a specific style of music may be an impossible task, one task that is not hard to do is to enjoy the pure insanity that is a Jon Stickley Trio show. Jon himself is easily one of the most exciting acoustic guitarists on the planet and is never unwilling to prove it. Violinist Lyndsay Pruett effortlessly weaves her magic into, out of, on top of and through Jon's unique flat-picking licks. With less than a year under his belt drummer Hunter Deacon has already found his space alongside Lyndsay and Jon, and in my opinion, has taken their sound in interesting new directions. Jon's old high school pal, and Leftover Salmon banjo player Andy Thorn, joined the trio for a portion of their set bringing the insanity to a whole 'nother level. After their hour long set it was a mad dash back to the taproom for the first Grass Is Dead set of the day. Like peanut butter and chocolate Grateful Dead songs and bluegrass are a perfect pairing and very few bands are as good at swirling the two together than Grass Is Dead. By now most everyone had arrived at Pisgah and the small taproom was overflowing with revelers AND energy. The set which included, among other songs, "Alabama Getaway", "China Doll" & "Dark Star" was the perfect way to get everybody's juices flowing for the remainder of the day's festivities. Normally after a set as hot as theirs it would be time for a breather, however there was no time for that as Spafford was already on the Outdoor Stage for the next leg of our musical marathon. Over the last few years Spafford has really come into their own and cemented their place near the top of the jamband mountain. If there was anyone in attendance on Saturday that was not yet familiar with Spafford I'd be shocked if they made it through the ninety minute set without joining the ever growing legion of "Spaffnerds." 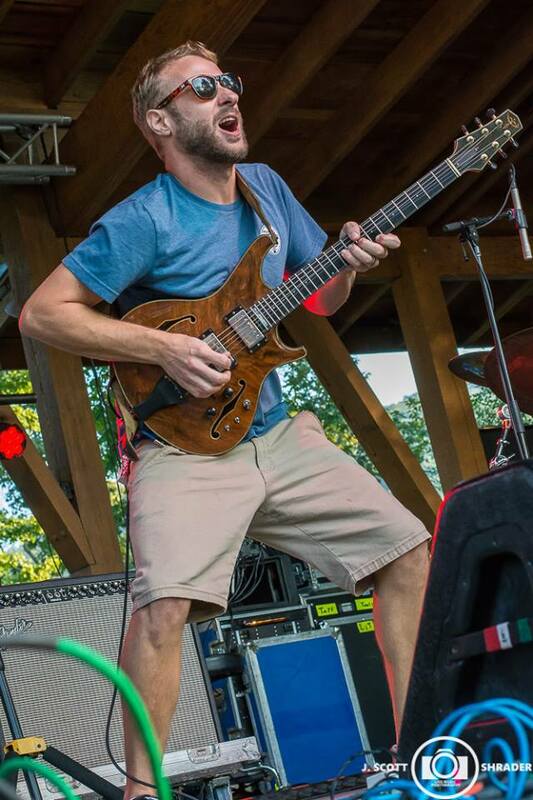 From the opening notes of "All My Friends" to the closing chords of "Ain't That Wrong" it was obvious that Spafford was not treating this set as just another festival set. At times their improvisational jams got so far out there that it was hard to remember what song they were actually playing before they perfectly brought it all back full circle. Something tells me Spafford are well on their way to headlining slots at festivals like these in the very near future. After another quick Grass Is Dead tweener set which saw Lindsay Pruett hop on stage to share licks with her father, mandolinist Steve Pruett, it was finally time for the moment we had all been waiting for. As an almost full moon rose from behind the trees on this, the Autumn Equinox, Leftover Salmon took to the stage for their headlining performance. Leftover Salmon has had their share of personnel changes over the years but the 2018 version of Leftover Salmon might just be the best group of players they've had since their classic early lineup. 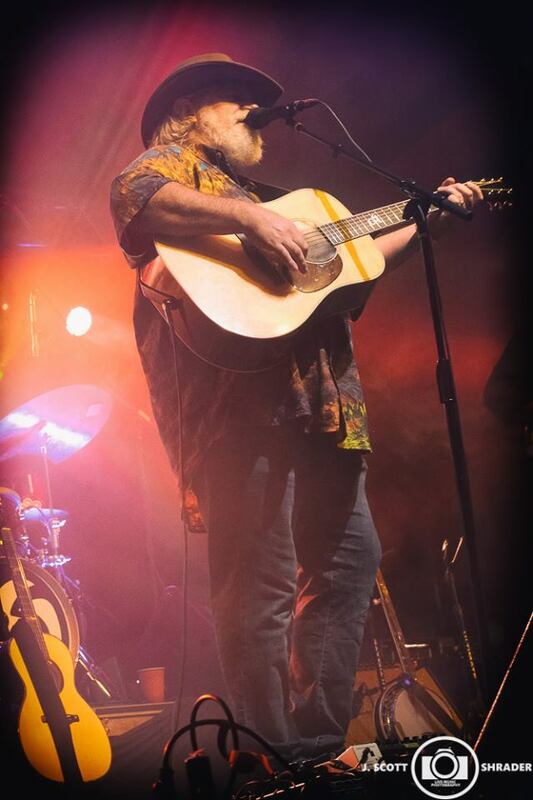 Since joining in 2010 Andy Thorn has proven he is the perfect man for the job and the "new guys" Alwyn Robinson and Eric Deutsch bring an interesting non-jamgrass approach to the classic Salmon sound. If there is one thing we've learned over the course of their (almost) thirty year career it is that on any given night Leftover Salmon easily ranks amongst the best live bands on the planet. Saturday night was no exception as they charged their way through two sets consisting of tunes spanning their entire career. Not only were they musically on top of their game but, Vince, Drew and company also seemed like they were having even more fun up on the stage than we were out in the audience. It was also quite obvious that Leftover was elated to be hosting this party in their Appalachian home away from home. Whether it was Drew Emmitt's speed-grass classic "Get Me Outta This City" or Vince Herman's party anthem "Sing Up To The Moon" the set was littered with songs that made it obvious Leftover Salmon were VERY aware of their surroundings. This was most obvious when the boys welcomed Jon Stickley to the stage to share vocal duties with Andy Thorn on "Home To Carolina." After two amazing Leftover Salmon sets the show could've ended and no one would have felt slighted, however that is not how the Blue Ridge Jam does things. Instead there was one more treat in store for the folks at Pisgah. Back in the Taproom, outlaw new-grass band Horseshoes And Hand Grenades had the task of closing the days festivities and they seemed more than up for the challenge. It can't be an easy job to play the final set on a day like this, but somehow they pulled it off masterfully. The folks that stuck around until the bitter end were treated to the perfect ending to a perfect day, an acapella version of the traditional spiritual "We Bid You Goodnight." I have been a Leftover Salmon fan for most of my adult life since I first saw them play over 20 years ago. Some of the best musical nights of my life have been spent with them and it's nights like these that remind me why. Here you have a band that cares enough about their Western North Carolina fans to not only show up and throw down, but also brings along a handful of the most exciting live bands around to make the party even better. I for one am already looking forward to next year's Blue Ridge Jam and judging by the smiles on the faces of the people pouring out of Pisgah Brewing Company on Saturday night I think it's safe to assume I am not the only one.